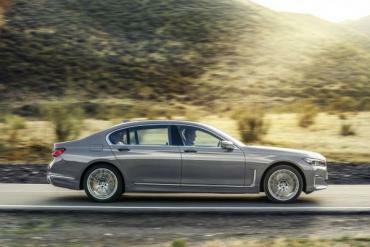 BMW has unveiled the 7-Series facelift at the Detroit Auto Show. The refreshed car gets some changes to its exterior, interior and more engine options. The 7-Series measures 5,120 mm in length (5,260 mm for the long wheelbase) making it 22 mm longer than the outgoing car. However, its height and width has remained the same at 1,902 mm and 1,467 mm (1,479 mm for the long wheelbase) respectively. 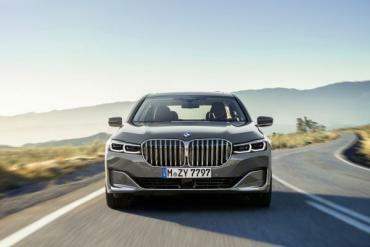 The car's bonnet is now 50 mm higher than before and the front end features a new kidney grille, which BMW claims is 40% larger than before. The car also gets slim LED headlights and larger air intakes in the bumper. Laser headlights are available as an option. At the rear, it gets slim LED tail lights with a thin LED bar connecting both the tail light clusters and larger pentagonal exhaust vents. 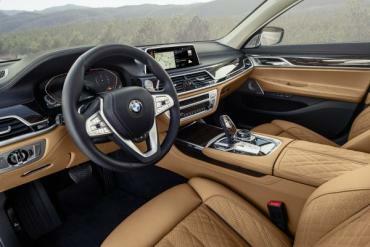 On the inside, the car gets the option of Nappa leather upholstery and two new options in wooden trim strips - American Oak Dark with metal inlay and Poplar Grain Metallic Grey high-gloss. The 7-Series comes equipped with a 7.0-inch infotainment screen as standard, a 12.3-inch digital instrument cluster, 3-spoke multifunction, leather-wrapped steering wheel, a Bowers and Wilkins music system and wireless charging in the centre console. The rear seat entertainment package adds two 10-inch touchscreen displays for the rear occupants. The refreshed 7-Series is equipped with driver assistance technologies like steering and lane control assistant, traffic jam assistant, lane keeping assistant with side collision protection, cross traffic alert and a reversing assistant that can retrace the car's movement up to 50 m by steering it along the same lines that it took while going forward. The car also gets adaptive cruise control with Stop/Go function. 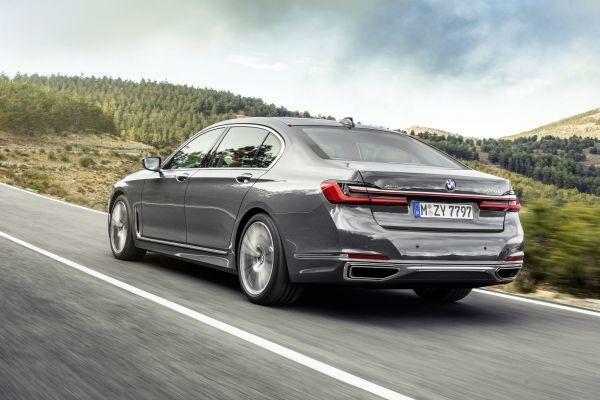 Engine options include a 6.6-litre V12 petrol unit developing 577 BHP and 850 Nm of torque, a 4.4-litre V8 petrol unit developing 523 BHP and 750 Nm of torque, 3.0-litre plug-in petrol hybrid developing 282 BHP and 450 Nm + 111 BHP and 265 Nm electric motor and a 3.0-litre, inline 6-cylinder diesel engine in three states of tune - 262 BHP and 620 Nm, 315 BHP and 680 Nm and 394 BHP and 760 Nm. All-wheel drive is available on some variants and an 8-speed automatic gearbox is offered as standard.